We can offer sympathy, but HawaiiCon is not responsible for lost, stolen, or damaged property, or for injuries sustained during the course of the convention. While at HawaiiCon you must wear a membership badge unless you’re 5 years old or younger. HawaiiCon is free for keiki nerdlings under the age of six. Children under the age of 12 need to keep a parent (or guardian) nearby at all times. We reserve the right to ask you to leave the convention, refuse to refund your membership money, and call local law enforcement if you are behaving inappropriately. HawaiiCon is meant to be enjoyed by all people present, including attending fans, guests, and staff. We all need to agree treat each other with aloha, that means to respect each other, our personal spaces, our differing opinions, and share responsibility for everyone's personal physical and emotional comfort and safety. We expect courtesy and cooperation from everyone in this regard. If anyone feels they cannot resolve an uncomfortable situation on their own, please do not hesitate to seek out a member of our staff who will contact local law enforcement and hotel security professionals. If you feel that your or someone else's physical safety is at risk, please contact HawaiiCon security, hotel security, or local law enforcement. If, in the opinion of the board chairs, an episode of harassment has occurred, the person committing the offense will have their badge confiscated, will be asked to leave the convention without compensation, and local law enforcement will be contacted. HawaiiCon is committed to providing a safe and enjoyable environment for its members and guests. Harassing, bullying, groping or otherwise bothering others is not tolerated under HawaiiCon’s Convention Guidelines. This includes behavior online. You acknowledge and accept this policy upon purchasing membership. Harassment is defined as any behavior that annoys, alarms, or threatens another person or group. This includes unwanted physical contact, following someone around a public area without their consent, photographing them without consent, making lewd or sexual remarks or threatening to physically attack someone, verbally harassing (making fun of someone), etc. If you aren’t sure what constitutes harassment, err on the side of caution and restrict your contact. Other consequences could take place. If you feel you have been harassed please report the matter immediately to one of the convention Officers or Security. Each concern will be addressed on a case by case basis and if the activity is illegal, the police will be called. Please remember that we need to know about any incidents during the convention right away so that the police may be able to take immediate action. Please provide any identifying details such as names, badge numbers or other descriptive information will need to be provided to the police. Documentation regarding harassment concerns is maintained. If someone demonstrates a pattern of harassing behavior the consequences of such will become more severe and leveled by the justice system, not only by HawaiiCon staff. 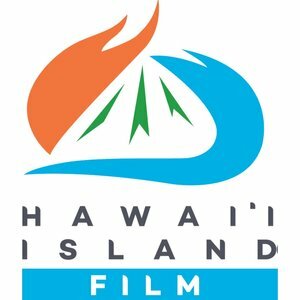 If you have been accused of harassment and feel that the Officer or Security staff’s response was unjustified, you may personally appeal to HawaiiCon’s Board of Directors after the convention. However, their decision is final. If you feel that you have been the victim of criminal conduct, please notify the local police immediately and, if necessary, seek medical attention. Contact a HawaiiCon Security staff, HawaiiCon staff, or hotel staff if you need help seeking medical attention. Your purchase of a membership-ticket to HawaiiCon constitutes acknowledgement of your willingness to appear in photographs and video taken in public areas of the convention and releases HawaiiCon, the hotel, and their employees and lessee from all liability resulting from the use of this audio-visual material. You waive all rights to these materials for publication in any medium. Cosplay is wearing the costume and taking on the mannerism of the many beloved characters in pop culture. However, no costume is NO costume. There are public decency laws. No unsheathed swords or uncapped knives, prop, paintball, or splatter guns, laser tag, or similar articles will be allowed. Laser target designators or laser pointers are not allowed in the Convention Areas (with the exception of those used by guest speakers) as they may cause injury. Flash photography is not allowed during the Masquerade. Announced events and guests are subject to change and/or cancel without notice. Every effort will be made to announce any changes via the Internet, pre-convention publications, and our onsite newsletter, but sometimes last-minute changes will occur. Only our Walk of Fame guests are allowed to sell photographs made at the event. If you spent all year building the perfect costume, please give freely when people want to take pictures of you. If you would like to take a picture of someone's cosplay please ask permission of the cosplayer. Guests will have their own prices for autographs so please check with the guest before getting your autograph. Due to security concerns, no wrapped gifts are to be presented to the celebrity guests in the autograph line. We will be doing scheduled photo-ops with our guests for a fee, however some guests may also be inclined to take selfies as well during the Walk of Fame (again for a fee). Please don't ask guests for pictures outside of the Walk of Fame. Personal presentations while guests are on the stage are not permitted. This includes, but is not limited to, giving presents, and asking for hugs, kisses, handshakes or photographs with the guests. Only press can audio or video record our guests. No one else is to make recordings of our guests. Photos and video may be taken with guests on tours under the touring company's discretion; photos and video may be purchased from the touring company.